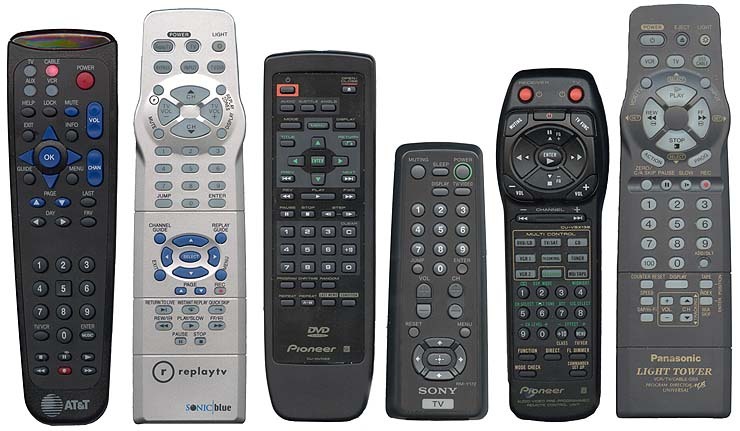 EDITORIAL: Why is it so hard to get remote controls right? Easy answer, actually. Most folks, believe it or not, are just fine with one or at most two remotes. A lot of equipment comes with some sort of “universal” remote that has a better than average chance of controlling your TV and the box you have hooked to it. Most folks don’t try to hide their equipment and infrared is just fine for them. But what about those of us who need more? Universal remote technology sort of stagnated in the 2000s as manufacturers tried one variation after another of some sort of programmable remote. Logitech went the full PC-setup-required route, giving you incredibly granular control. DIRECTV created remotes with limited two-way communication so at least you didn’t have to press a whole bunch of buttons. But, at the end of the day, you were left with fairly consistent problems. Either it was a pain to set up, or it didn’t do what you wanted it to. Period. There have been a few attempts at dealing with an RF-based solution. Our own NextGen Genius lets you turn any remote into an RF remote and there have been other similar solutions. Then there have been home automation standards like Control4 and Zigbee that have tried to create a standard way that all devices can talk to each other. Control4 seems to be winning the battle but they’re nowhere near universally accepted. Then there’s voice and gesture control. While DIRECTV and Apple think you should control your device with voice commands, Microsoft, Samsung and others think that controlling your TV should look like conducting a symphony. These solutions are fun to try, but most folks just give up and get tired after a while. The big answer today seems to be IP control. If your device is connected to the internet anyway, why not control it using a smartphone or tablet over Wi-Fi? DIRECTV has done a great job with free apps that turn even the cheapest tablet into a super-remote, and Samsung, Sony and others have similar interfaces for their equipment. A few companies have tried to create universal smartphone remotes, but the problem is the smartphone makes a pretty rotten remote. You need to open the app, select the device, and then control it, and that’s pretty inferior to just picking up a remote. Probably the only good news here is that for all but the uber-enthusiasts, it’s getting easier not harder simply because there are fewer devices. Where once we had a TV, satellite box, multiple VCRs, AV receiver, DVD player and more, more and more people are content with a TV with connected soundbar (controlled by the TV), DVR, and streaming box. Depending on your preferences you might even be able to get away without the streaming box. That makes it easier and easier to live with a subpar remote, because you’re not talking about so many devices. On the other hand, the best home theater remote is actually getting cheaper and cheaper. For less than $100 it’s possible to get an Android tablet that will support any number of remote control apps and control all your connected devices with that tablet. Leave that plugged in near the coffee table and you’ll have a home automation system that you couldn’t buy for $2,500 just a few years ago. Yes, it’s finally looking up for remote controls but we still have a few years of hard times ahead. Hopefully consumer electronics makers will find a way to keep the masses happy and somehow, just somehow, appeal to the rest of us too.